January 19, 2016 January 13, 2016 / Elizabeth T.
I’m back again with another makeup product review, but this time, rather than just providing a review of Etude House’s Precious Mineral BB Compact alone, I wanted to compare it to one of the beauty industry’s holy grail products – the BareMinerals Original Foundation. As many of you have seen from my earlier review of BareMinerals, I’m a really big fan of its light and natural finish. After using Etude House for a while now, I really noticed a lot of similarities between the two. First of all, for those of you who don’t know about Etude House’s Mineral BB Compact, it was once one of the most popular compacts amongst adolescents and young adults in Asia due to its great coverage, natural finish, and affordable price. 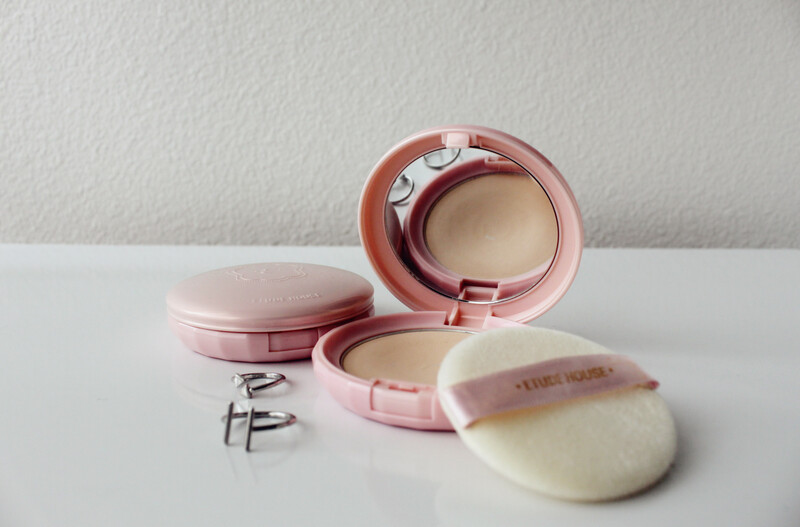 With minute skin brightening pearl powder particles, Etude House’s compact promises sheer, silky, and long lasting coverage that illuminates the whole face for a very healthy and youthful dewy glow. 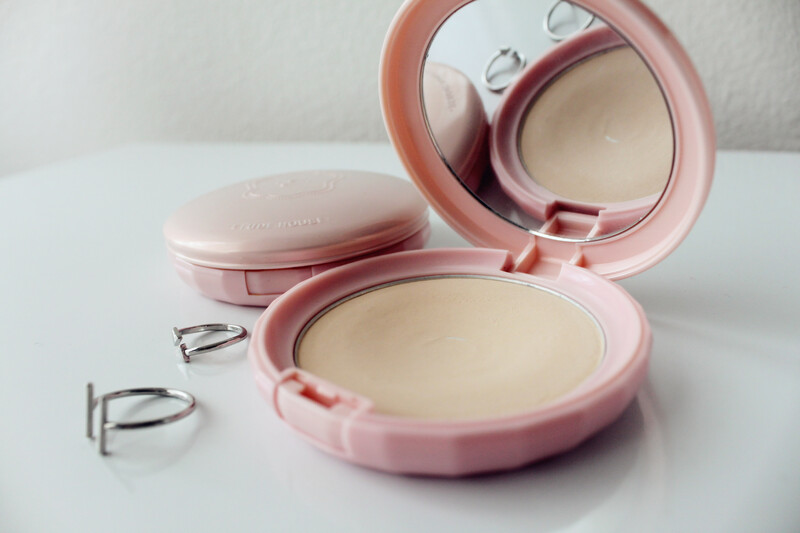 Though the makeup industry in South Korea has largely moved on to cushion foundation compacts (with the rest of Asia following closely behind), I’m still a big fan of these mineral powder compacts due to its convenience and the light coverage it provides. Whereas cushion foundations are more “wet” on the skin, these mineral compacts are powdery, though it feels like a cream and buffs on like silk, giving a very natural luminosity that looks as though you’re not wearing any makeup at all. And just a little tip, rather than using the sponge that’s included in the pretty packaging, I prefer to use my own buffing brush because it gives a much more natural finish. Now that you know more about Etude House’s Mineral BB Compact, let’s move on to the comparison part of this post! Just like the BareMinerals Original Foundation, the Etude House Mineral BB Compact needs to be applied a little bit at a time or you risk looking like you just caked everything on all at once. As opposed to the BareMinerals Original Foundation that takes a lot more buffing to look natural, though, the Etude House BB Compact, probably due to the fact that it’s a lighter formula, doesn’t require as much work. 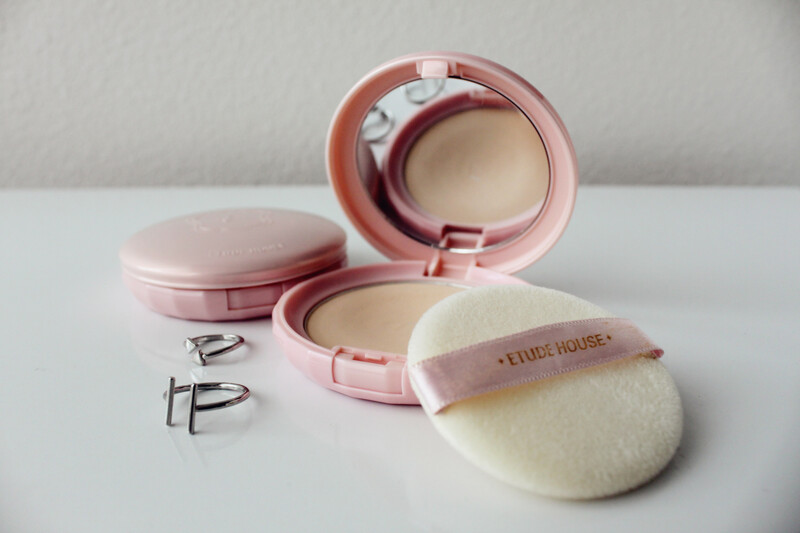 In comparison to the BareMinerals foundation, the Etude House compact is definitely easier for makeup newbies because it doesn’t require too much effort, so I can definitely see why it was so popular amongst young girls. 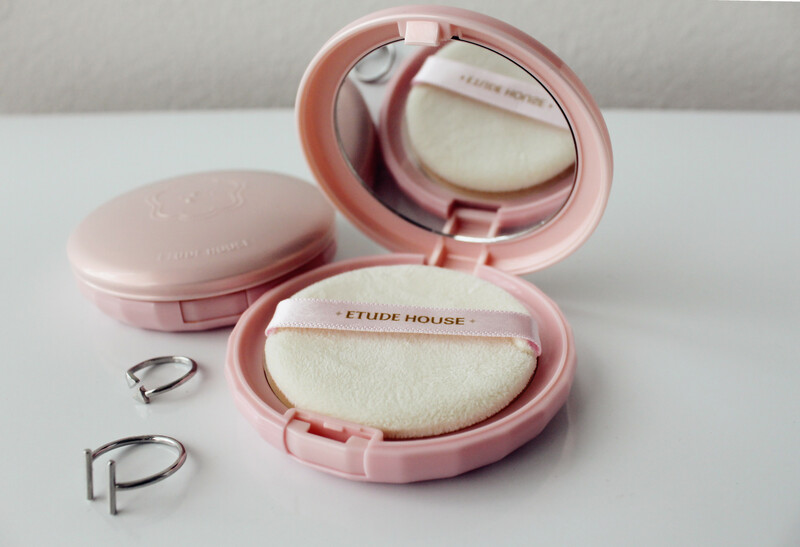 However, accessibility and shade variety does put Etude House’s compact at a disadvantage because there are very few sellers who still carry it due to the cushion foundation craze in the recent two years. There are very few online boutiques that still carry them, and the ones that do only offer two shades, W13 Natural Beige, which is the color I use during the summer months and N02 Light Beige, which matches my normal skin tone. And now for the final verdict… I definitely see how Etude House’s Mineral BB Compact can compare with BareMinerals Original Foundation. It’s very similar in terms of its application and finish. However, I do prefer BareMinerals packaging because it seems a little more sanitary than the Etude House’s compact form, which means you’ll likely dip your brush or sponge back into the product. Likewise, I definitely prefer Etude House’s light coverage as opposed to the full coverage of BareMinerals because on days where I don’t have to do photoshoots, I really like lighter and more breathable makeup. And as for affordability, they don’t differ too drastically, though Etude House does offer a bit more product (0.35 oz as opposed to BareMinerals 0.28 oz) for about the same price. All in all, I think both products have their pros and cons, but I really enjoy having both to switch off from depending on my mood. I hope you all found my review of Etude House’s Precious Mineral BB Compact and its comparison to BareMinerals Original Foundation helpful. 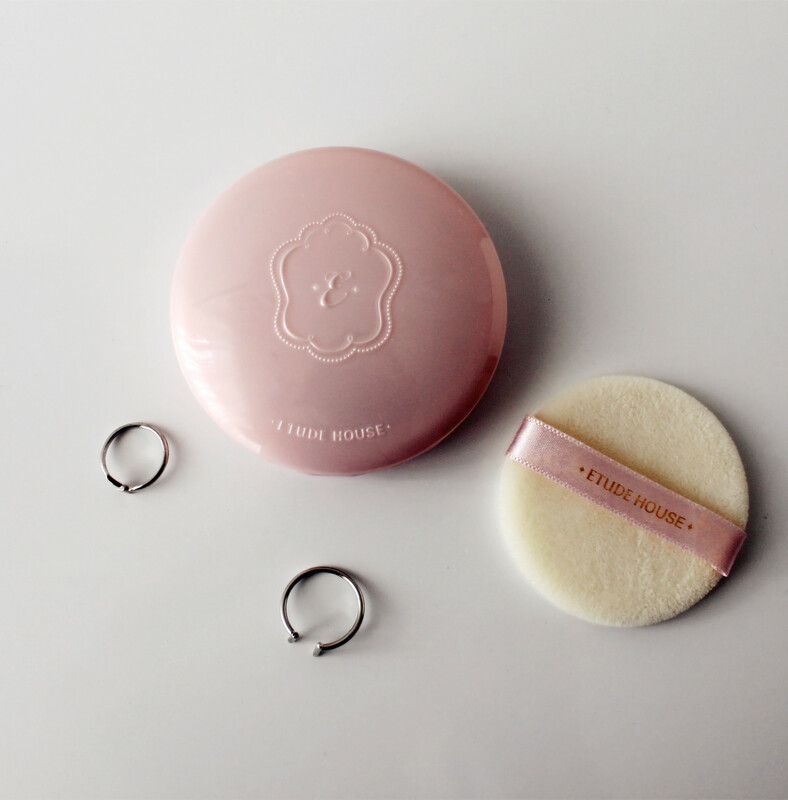 Have you ever tried this lovely compact from Etude House? If so, what do you think about it? Do you prefer it over BareMinerals? Let me know what you all think! I’d love to hear from all of you! So cute! It looks amazing! Thanks for the review and comparison. I’m a cushion compact person but sometimes I still resort to the power compact and sounds like both selection are fine. I’m more of a cushion company person myself, Sheree, but I know what you mean by switching it up every once in awhile 🙂 Thank you so much for stopping by, and I hope you found this review helpful!